I'll be reopening my Etsy shop on October 1st! Each set will be listed with natural edges but will come with the option of adding a gold or silver leaf finish to the edges if you'd like to up the glam factor! 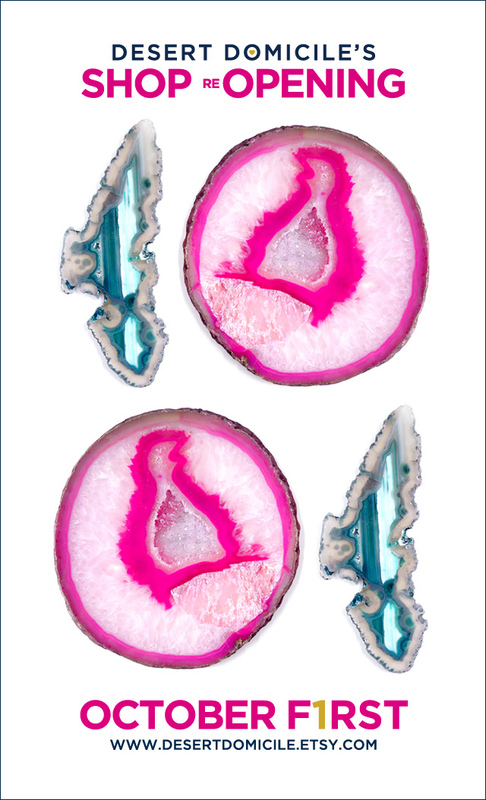 If the reopening goes well, I'll add more agate goodies to my shop like bookends, magnets, ornaments, etc. I'm also thinking about selling agate iPhone cases, throw pillows, stretched canvases and art prints! I'll announce the official grand reopening bright and early October 1st. 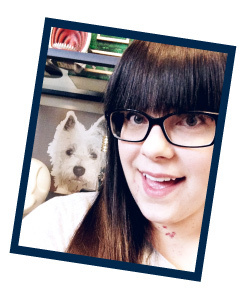 If you're not signed up to receive e-mails from me, you might miss the announcement (and a coaster set)! Squeeee! Can't wait! I am crushing on those coasters. 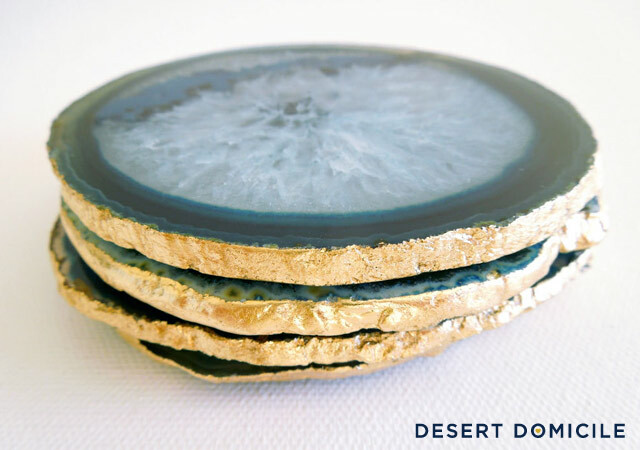 Love my blue agate coaster from you! Exciting! I'm thinking of opening an Etsy store, too. Would love to hear your thoughts on your experience one of these days. I love my agate too thanks to you! Congrats!!! I can't wait to 'shop your shop!' I just opened my shop a couple of months ago, and it's been such a fun project. Counting down the days until agate coasters -- yay!!! Ive got my paypal account all ready and waiting my friend. Im so ordering a pair with silver leaf.